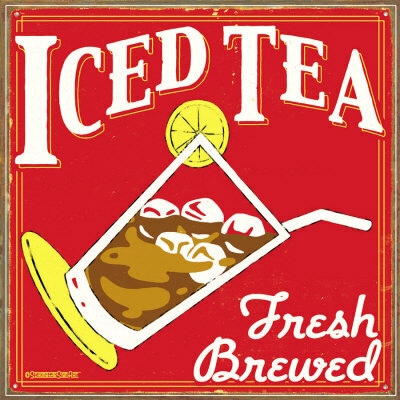 I'm a tea drinker, and in the Summer, I'm an ice tea drinker, so I can really get behind Ice Tea Month (June) and National Iced Tea Day (June 10). Of course, since I'm always Dying for Chocolate, I like Chocolate Ice Tea. The following teas will not have the full bodied chocolate taste of an iced cocoa. They're more subtle, but definitely worth trying. They're essentially different types of teas infused with cacoa nibs or cocoa with some other ingredients. Some even use carob pods. You might prefer some of them more as hot teas. Experiment. 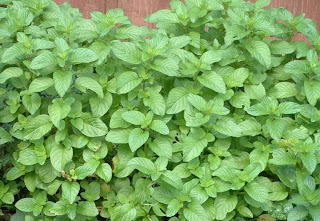 At the end of this post, I also have a recipe for Chocolate Mint Tea... that's the herb Chocolate Mint that grows in the garden (it is not a chocolate plant!). Chocolate mint makes a lovely ice tea. 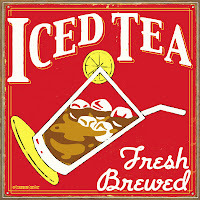 History of Ice Tea: The story goes that at the St. Louis World's Fair, the Englishman Richard Blechynden was introducing Americans to the new India and Ceylon black tea.There was a heat wave at the time and lines were not forming to try his steamy hot beverage. After a few days of frustration, he tried adding ice to the tea in order to entice people in. It was the hit of the fair and a new way of drinking tea had instantly taken hold! To brew a quart, place either 4 to 5 bags or teaspoons of loose tea in a pitcher. Bring 2 cups of cold, tap water or filtered water to a boil. Pour the boiling water directly over the tea and steep for 3 to 5 minutes. Remove tea bags or strain and then add 2 more cups of cold water. Serve over ice. Fill a container with 4 cups of cold water, preferably filtered. Place 6 bags or 6 teaspoons of tea and cover or cap lightly. Place in direct sunlight for 2 to 4 hours (depending on desired strength). Remove bags or strain and serve over ice. Fill a container with 4 cups of filtered cold water. Put 6 bags or 6 teaspoons of tea and cover or cap lightly. Place in refrigerator for 8 hours. Remove bags or strain and serve over ice. There are so many Chocolate Teas available now, some with black tea, some with rooibos or other herbs. The following is a random list. Let me know your favorites, and, especially, if you like the teas better hot or cold! Strawberry Cuppa Chocolate Tea Bags: chocolate paired with a hint of strawberry. Rooibos (red tea) provides the base. 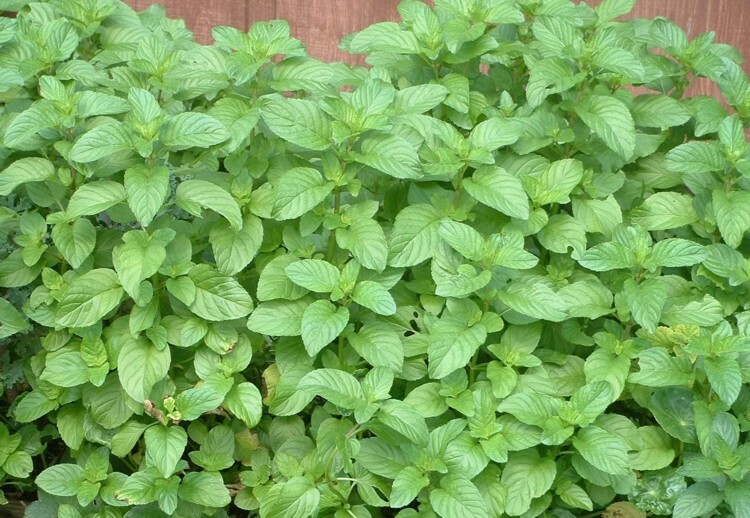 Here's a tea for the Spring & Summer, and yes, I do have Chocolate Mint growing in my yard. Boil water, add chopped mint leaves and simmer in a covered stockpot with tight-fitting lid for 10 mins. Add honey, stirring until dissolved. Remove from heat. Cover and let steep 3-4 hours or longer. Refrigerate overnight. Strain before serving. This is definitely an interesting twist to iced tea. Who would've thought you can use chocolate in it? If I don't have chocolate mint, is there any other way to incorporate chocolate into my tea? Thanks! You could try incorporating some cocoa powder into your ice tea, sparingly.. in the initial brew. Not sure if that would work, but worth a try! You've done it again, Janet! I just happen to have some chocolate mint. I was growing it just for "show," but now I'm curious. How ironic! This is the first year that I haven't grown chocolate mint as, in years past, I never really knew what to do with it when I did. It never occurred to me to use it in tea. Great post - thanks for educating people on chocolate flavored teas. May i recommend my company Tisano - we invented the pure cacao brewed herbal tea made from 100% cacao - you get all the benefits of dark chocolate with non of the guilt - no fat, no sugars, no calories. 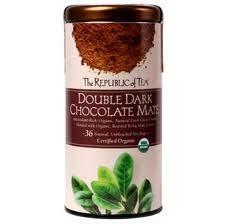 Unlike other teas that are flavored with chocolate or have chocolate chips ours is the only natural cacao drink. We exhibited at the Fancy Food Show and the World Tea Expo and won several awards for our real chocolate tea.